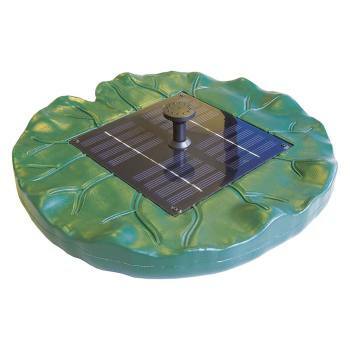 Solar-powered fountains are an environmentally-friendly alternative to mains-operated fountains. They operate even without wall power. No more time-consuming cable laying and your guests tripping over connectors and wires at night. Solar-powered fountains will only work if the solar panel, which is connected to the water pump, is completely in the sun and not in the shade. Cloud cover can abruptly halt water circulation. Plunge into our world of high-quality and exclusive solar-powered fountain.